And then in 2002, an exhibition of their art work opened at the Museum of Fine Arts, Houston, organized by the Tinwood Alliance and everything changed. The show went to the Whitney Museum in New York City and their art was hailed as “some of the most miraculous work of art America has produced.” The show subsequently traveled to numerous other museums and the women have found gallery representation for their art. 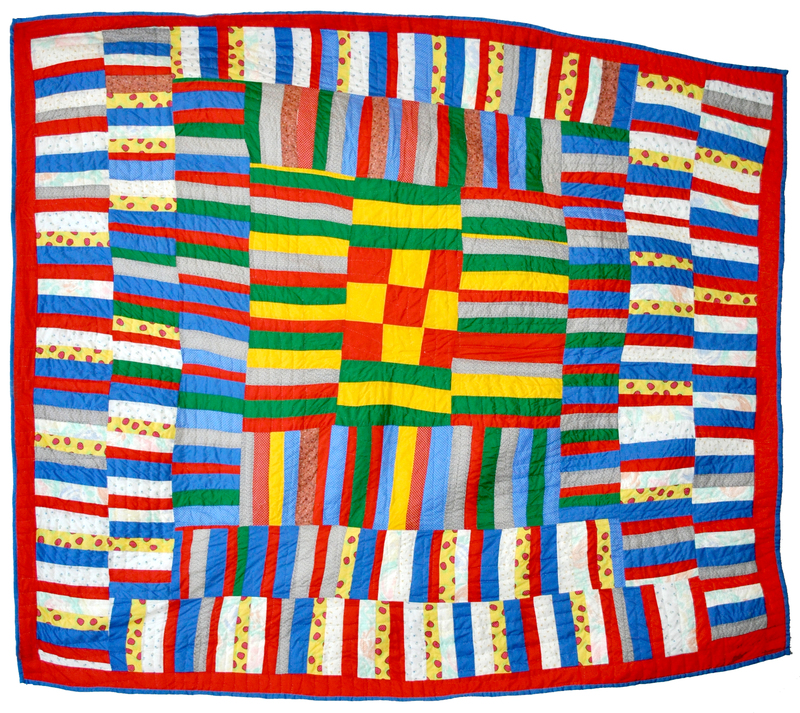 In June 2006, a second exhibition of quilts opened at the Museum of Fine Arts, Houston, also organized by the Tinwood Alliance, called “Gee’s Bend: The Architecture of the Quilt.” It traveled to seven additional museums, including the Smithsonian, the final stop of the nationwide tour was the Philadelphia Museum of Art at the end of 2008. 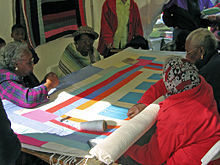 Many of the quilt makers have become well known and have traveled extensively to talk about their community and their art. Many now have real incomes for the first time and their work, and its success, has helped to reunite and revive a dying community. In August 2006, the United States Postal Service released a sheet of ten commemorative stamps bearing images of Gee’s Bend quilts sewn between c.1940 and 2001. I mentioned that I was not sure about the quilting style that would be the most appropriate. I had never seen a gee’s Bend quilt up close and personal. 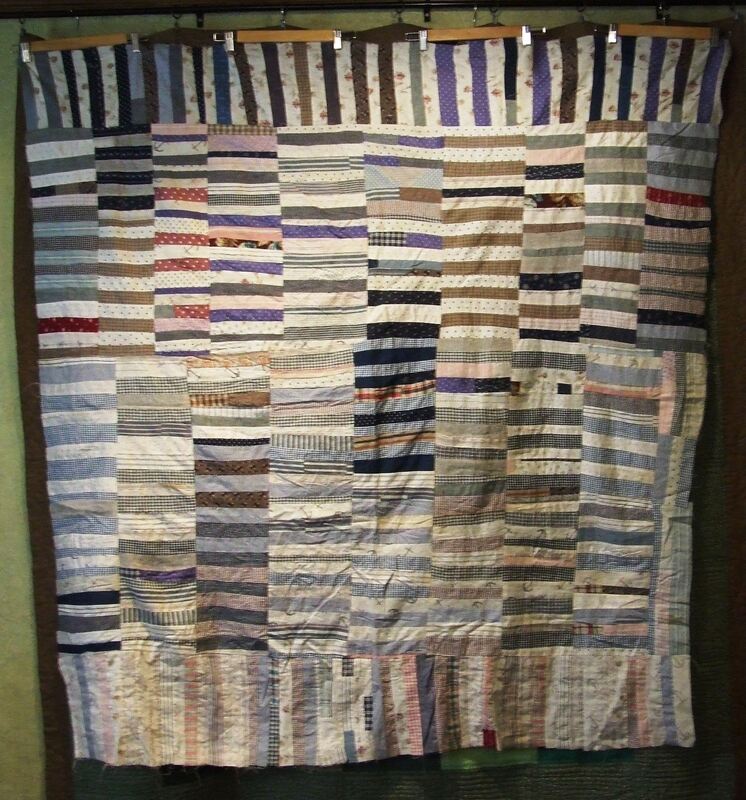 Bill Volckening, who sold me the quilt top, also happens to own a Gee’s Bend Quilt made by Lucy Mingo, and suggested that looking at the quilting on that quilt would be a good idea to get a feel for the approach to quilting this one.. The quilt is called Bible Story and Bill has provided these pictures of the quilt. Born in Rehoboth, a settlement just north of Gee’s Bend, Lucy Mingo grew up picking crops, cooking for her family, and walking four miles to and from school each day. Her father worked as a longshoreman in Mobile. Mingo married her husband, David, in 1949, and together they raised ten children. In 1965, she joined Dr. Martin Luther King, Jr., on a march to Selma and also bravely registered to vote in Camden, Alabama, with other residents of Gee’s Bend. In 2006, Mingo and her daughter, Polly Raymond, received a Folk Arts Apprenticeship grant, given by the Alabama State Council on the Arts, which matches master artists with apprentices. 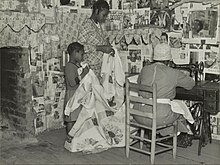 The grant covered the costs of Mingo teaching her daughter how to quilt. When I was relatively new to quilting, and just beginning to learn a bit about quilt history I was not sure what to make of quilts like these. It seemed as if they didn’t know how to make a quilt “the right way”. I don’t think that any more…there is no “right way”! There is your way, and when you make a quilt your way it becomes an individual expression, and that is what makes a quilt into art. When I work on quilting a vintage or antique quilt top I am often tempted to try to make it perfect, but I try to remember that I am finishing up the expression of a quilter from the past. I don’t want to totally wipe out their artistic contribution to the quilt, I want to bring it to completion in a way that I hope they would approve of. This entry was posted in Quilts and tagged antique quilt top, gee's bend, hand quilting, Quilting, Quilts, vintage quilt top. I would probably do outline quilting on this style of quilt with some extra straight lines if the pieces are wide. Stick with simple and you won’t go wrong I think. I like your answer—as I grow in my quilt making, I’m learning to listen to the quilt. 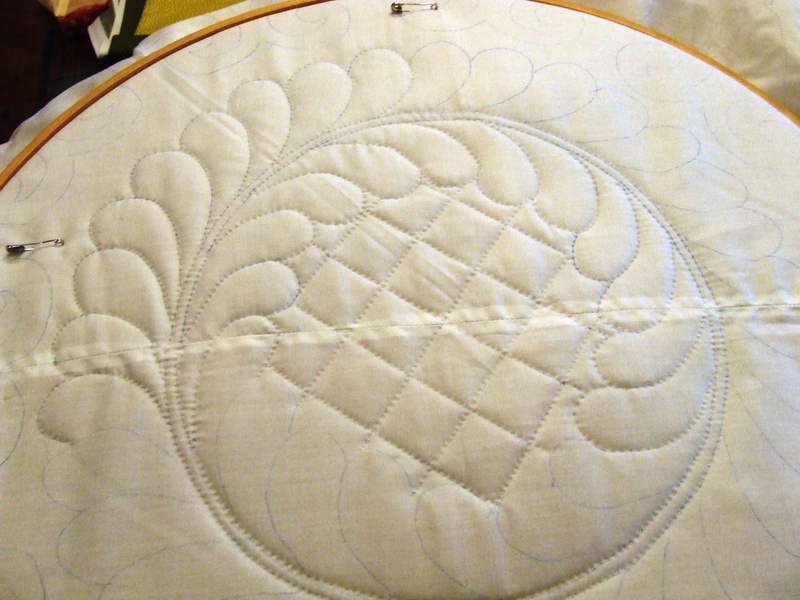 When I started quilting, I had a pattern and a plan and followed it meticulously, even when I knew it wasn’t working. The last half-dozen or so quilts I’ve made seem to be designing themselves. 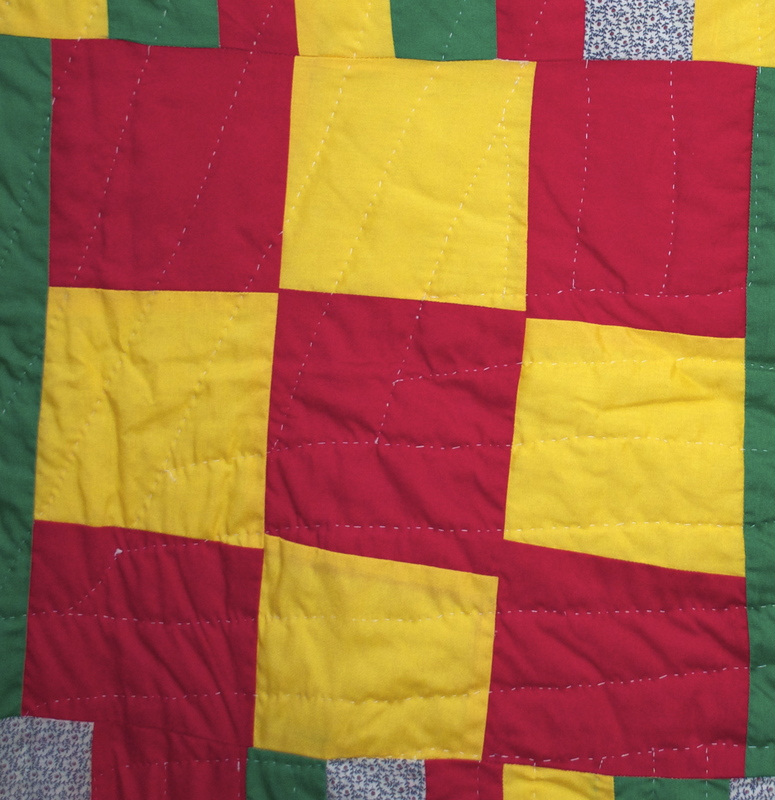 I have two old family quilts waiting on me to get ready for them–think I’m almost there! Anyway–thanks for letting us see what you are thinking and learning. when I listen I get to relax! I’d vote for rows of vertical quilting in the horizontal sections and rows of horizontal quilting in the vertical ends and the small section on the side. Keep up the good work finishing up all those forgotten visions of past quilters. that is a wonderful quilt. I admit I’d do a lot of straightish lines and avoid the seams. and agree with karen, keep it simple. I have one of the Gee’s Bend books and each one has very simple straight line quilting like you would do for crosshatching but without the hatching! No crossing, I mean. They tend to just not follow very much of the design of the quilt, just wanted to quilt across it to keep it together. 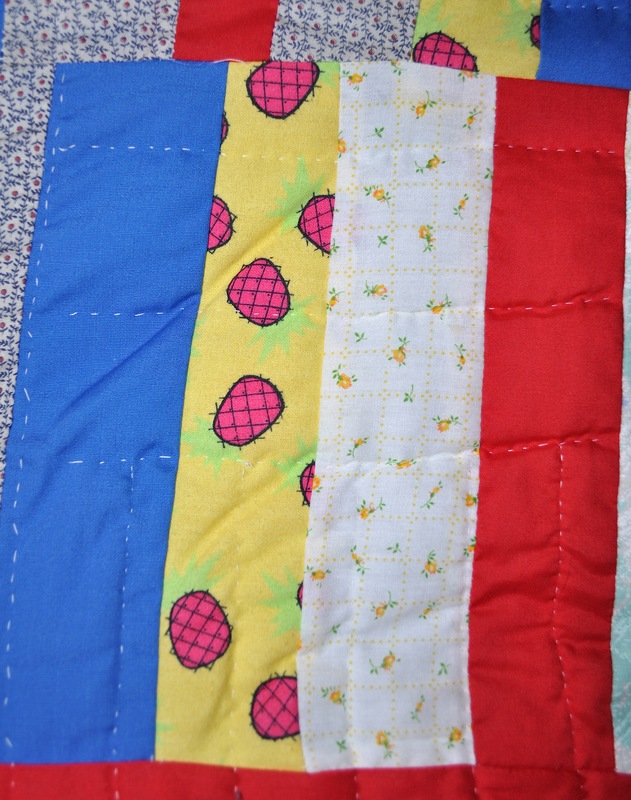 There are a few that have a thought process of following the design of the quilt, but not very many. 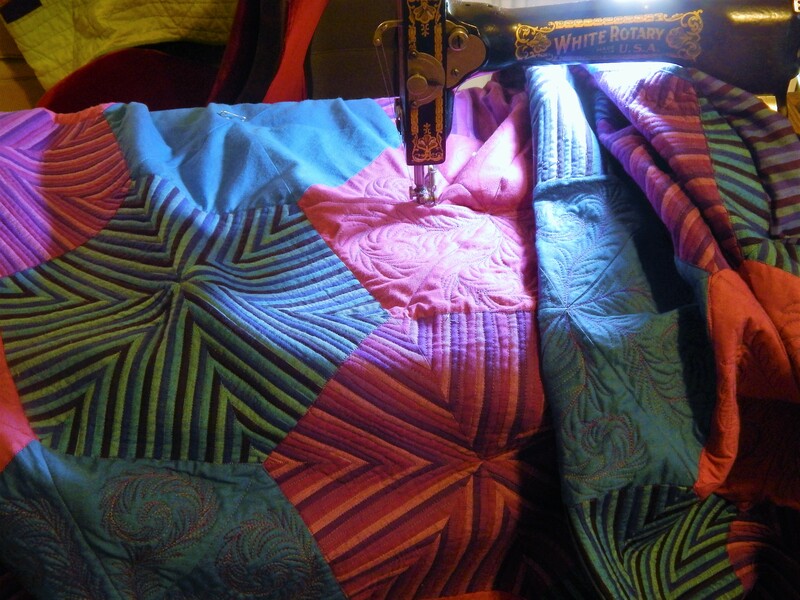 Thanks very much for sharing the pictures and background on the Gee’s Bend Quilts. These were a revelation for me. I love the freeform style and boldness they express! I am sure the quilt will tell you how to quilt it. Looking forward to seeing the results! Wonderful info Tim. I saw a presentation by the Gee Bend Quilters last year in Sister. I now have a totally new appreciation for the quilters and their quilts. You are always so inspiring. Can’t wait to see it finished. I have heard a lot about that sisters gathering….some day I want to go to that! 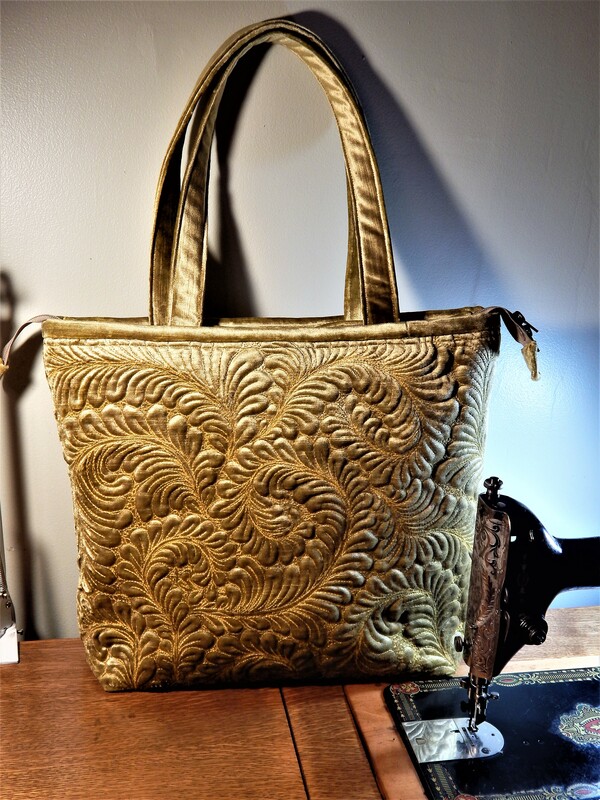 I have quilted with Lucy and other women there a fair amount, and they almost always do a sort of loose fan style of design, ignoring the seams, and never outlining each piece, just as in your last photo. I am happy to hear that you are hand quilting. wow that is cool! I will be sure to follow their lead….by hand! Yes indeed, listen to the quilt. Even my oh so prosaic wood turning husband told a friend that the wood told him what to make from it. Are you sure that ‘isn’t ‘ a Gee’s Bend quilt? Yes, crazy love this one. I always love hearing,seeing and reading about the Gees Bend gals. Your quilt there is certainly in the ‘flavor’ of theirs. 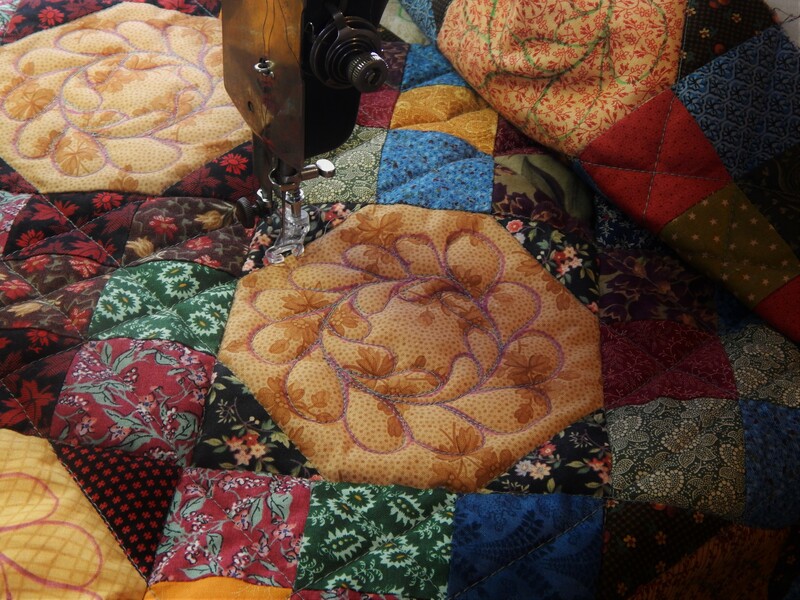 Great seeing the close ups of some of their quilting, of course, I love seeing ‘anyone’s’ close up hand quilting!